Germany and France have outlined plans to deepen European military cooperation, a document showed on Monday (12 September), as Britain’s exit from the European Union removes one of the biggest obstacles to stronger EU defence in tandem with NATO. In potentially the biggest leap in European defence since the 1990s, Berlin and Paris are laying out ways for the bloc to rapidly deploy forces, with security cooperation emerging as a unifying force for Europe after Britain’s shock vote to leave. European Commission President Jean-Claude Juncker is set to add to the momentum in his annual State of the Union address on Wednesday by calling for an end to the isolated way in which EU militaries work. EU leaders will discuss defence cooperation at a summit without Britain on Friday in the Slovak capital Bratislava and could take decisions at the end of this year. German Foreign Minister Frank-Walter Steinmeier will discuss closer military ties with his counterparts from the Baltic states in Riga on Tuesday, while German Defence Minister Ursula von der Leyen will raise the issue during a meeting with her Norwegian counterpart in Bodoe, Norway, on Wednesday. In a policy document seen by Reuters, Germany and France, the EU’s two remaining military powers, have made a detailed list of proposals, including a joint and permanent EU command headquarters for its civilian and military missions. 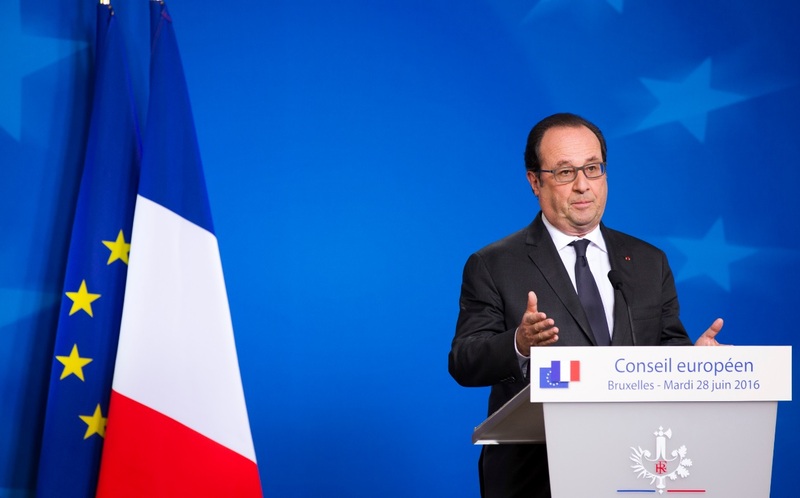 French President François Hollande visited Portugal on Tuesday (19 July) and will stop over in Ireland on Thursday (21 July) in an attempt to reinforce the foundations of the EU, including fostering increased defence cooperation, following the terrorist attack in Nice last week. EURACTIV France reports. Such a move falls well short of a European army, but would mark a step in the EU’s ambitions in areas from disaster relief to peacekeeping. It could help revive the EU battle groups that have been operational since 2007 but have never been used. Berlin and Paris said they also sought a strengthening of the Eurocorps, a joint military group of some EU and NATO states, allowing it to play a bigger role in EU operations. The decision to relaunch closer military cooperation, which was first tried by Britain and France in 1998, goes beyond Britain’s decision to leave the EU, diplomats say. No European nation has the resources alone to confront failing states on Europe’s borders, Islamist militants or a resurgent Russia. The joint paper floats the idea of setting up the EU’s own medical resources, joint land, air and sea transport capabilities to complement the bloc’s missions and enhancing common training among officers across the 27 states. France and Germany, as well as senior EU defence officials, are also keen to work with the U.S-led North Atlantic Treaty Organisation (NATO), which counts 22 of the EU’s 28 members. 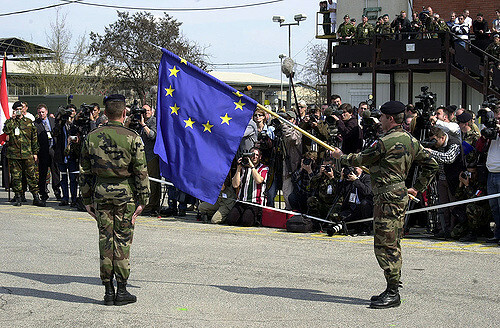 “We … recognise that a stronger and more capable European defence will also lead to a stronger NATO,” the document read. The paper appears timed to complement efforts in Brussels led by EU foreign policy chief Federica Mogherini to show that the bloc is reacting to citizens’ concerns about security in the wake of attacks in European cities this year and to show that the EU remains relevant despite Brexit. The creation of a “European army” has appeared to some politicians as a realistic possibility, now that the UK can’t obstruct such a goal. Big statements have been made at high levels, but analysts question the substance behind the rhetoric. The EURACTIV network reports. Britain and France are Europe’s leading military powers. Britain is also one of only a small handful of NATO allies to meet the NATO objective of spending more than 2% of its national output on defence. Britain had long been sceptical of expanding EU military missions, wanting to avoid duplication with NATO. In a separate EU document seen by Reuters, Mogherini calls on European governments to build “strategic autonomy”, suggesting independence from the United States. She urges “permanent structured cooperation” allowing some EU armies to work together when some countries do not wish to. Mogherini, Berlin and Paris want EU governments to consider better financing for the bloc’s missions and operations. 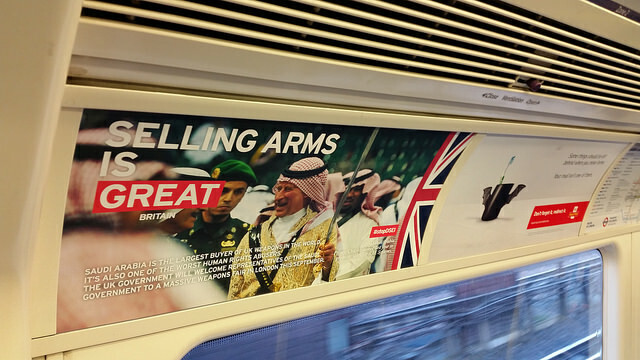 Subsidising the arms industry is not the way the once-peace EU project will improve its popularity with eurosceptic citizens. Especially not when it is done on advice from the industry lobby. Instead, the EU should invest in jobs and research projects which contribute to the prevention of conflicts, says the Laetitia Sedou. They would like to see a defence research programme in the EU budget for the first time, starting with the next common budget for 2021-27. France and Germany proposed starting with setting aside 90 million euros to that end already in 2017-2019. While that is dwarfed by the United States’ multi-billion-dollar military research budget, it could help prevent the EU from falling behind in the military arena or having to rely on countries such as South Korea and Israel for hardware. One idea under discussion is a European investment fund for defence, which would allow EU governments who pay into it to also borrow so as to ensure that funds are available for joint defence programmes. These range from new helicopters to drones. The fund, which could start on a small scale in 2017, could be backed by the European Investment Bank to finance projects. “This is a timely and much needed step forward. With Brexit, an expansionist Russia and the real possibility of a Trump Presidency, the European Union can no longer rely on others to provide security in Europe. The European Council should now seriously discuss these proposals in Bratislava and commit to an ambitious timetable for the integration of EU military forces. “But I believe we should be even more ambitious; the ALDE Group last year adopted proposals for a European Defence Union, which called for an integrated European pillar of NATO based on battle groups, a joint and permanent EU military headquarters and a single EU budget for military research. The EU must be able to act autonomously in operations abroad, in particular when it comes to the stabilisation of our neighbourhood." 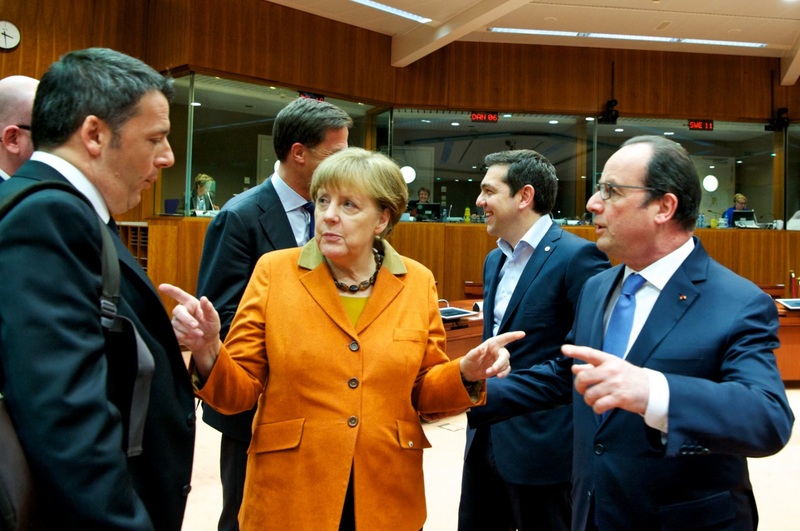 "The French-German initiative is a step forward, but it doesn't go far enough. The time has come to go beyond basic co-operation and solidarity. “EU-citizens want the European Union to take care of their security. The time has come for an integrated EU military force under one political command and one clear EU-budget; we need to take decisions, not just little steps forward." And history repeats itself, EU extremists have learnt nothing from their history & are destined to repeat it. Than god we are leaving. Yes, thank God you are leaving. Moot subject, Britain’s new PM Theresa May seems to be reading the Brexit tea leaves, that increased trade with Russia should be on the agenda to cushion the economic turbulence of exiting the EU. May is battening down the hatches by making nice with Mr. Putin. Merkel has done so in word only while sticking to her sanctions guns, which might soon be empty. Considering a new party that raked in 21% of the vote in it’s first election is a big hint that change is in the wind for Germany. The folks seem to want new leadership. And France? Everyone knows new leadership is coming. The Tuetonics and the Napoleonics teaming up like Batman and Robin. A real dynamic dual . I like the changing geography of working with Russia. Russia has done amazing things working around European sanctions and while I am not fond of Russia’s Ukrainian policies it’s Syrian efforts are to be appreciated. Why in this world is there need for another non secular regime to be created in Syria as has been created in Libya and Iraq..The recent bombing of Syrian troops by the USA to assist ISIS is real stupid.